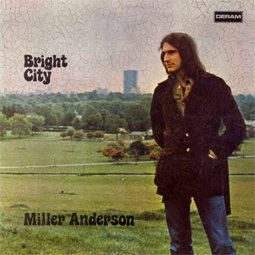 Miller Anderson was a significant British guitarist in the late 60s, early 70s. He was a key member of the Keef Hartley Band from 1969-1970, i.e. in their first 3 albums. He left the band in 1971 and recorded this excellent progressive album, assisted by Madeline Bell, Lyn Dobson and Mick Weaver (Wynder K. Frog). Deluxe 180g vinyl, from the original master tapes, exact reproduction of the original pressing. 500 pieces limited edition.